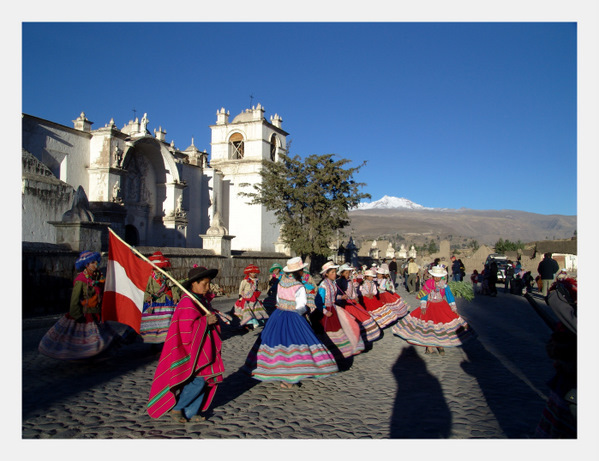 Peru is an amazing country for culture, dramatic landscapes, variety, colors, handicrafts and people. I was so fascinated by their traditional costumes, an important part of Peruvian culture as they mark the differences between regional areas and how influences melted over time. The market is one of the most interesting places for observing people, and you won’t get short of them while crossing Peru. Here I got my eyes caught by the lovely big hats and the awesome decorations on the sleeves. 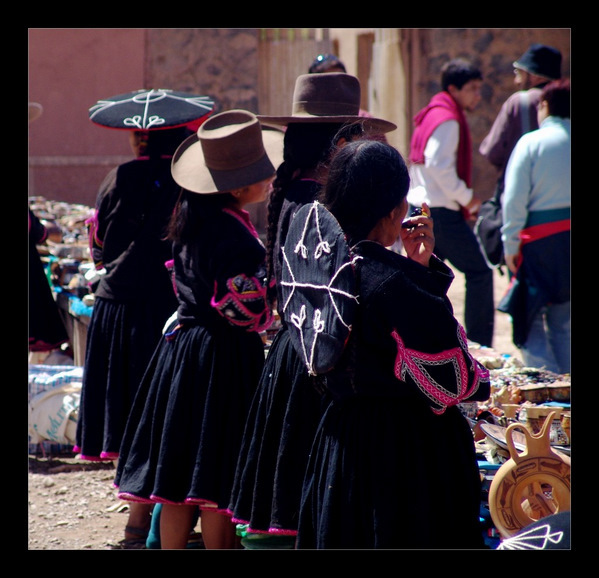 And Peru also provides a large number of awesome handicrafts: beautiful and brightly colored cloths, carved seeds with scenes of daily life, lovely knitted woollen sweaters and hats with the traditional peruvian designs, and lots more. In the Colca Valley, I stepped in this group of dancers wearing amazing traditional costumes with wonderful colorful embroideries. Despite being a poor country, Peru distinguishes itself for its beautiful handicrafts, first of all textiles. and I’m very proud of my country… if you want to come here or ask me something about Peru just tell me. I’ll be happy to help you . I am thinking about where in South America I should be spending my summer, and Peru was where my head was at today. Thanks for more inspiration! Erin, Peru was one of the most beautiful countries I visited. So diverse and so interesting. I’m sure you’ll love it. And there are a few more pictures across the website if you’re interested in seeing a little more. Beautiful photos! 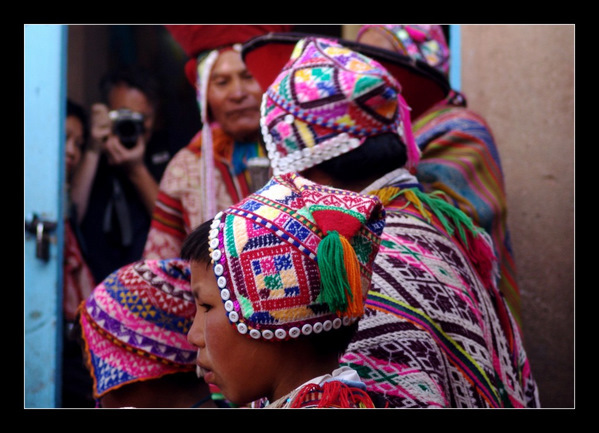 One of my favorite parts about living in Peru is its dynamic culture and abundance of colors. Thank you Laura. Lovely photo yours! I like to travel to different places to know about the history and culture. The vivid images presented here are very colorful and I should appreciate how beautifully they have been snapped. Thanks for sharing them. Wonderful photos, thanks for sharing. 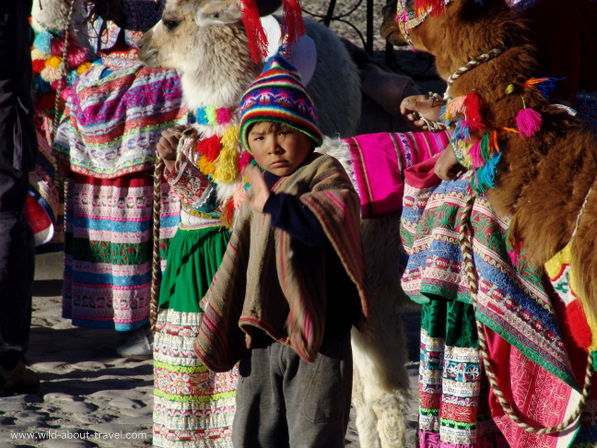 Peruvian festivals are my favourite part of living in the country and you’ve captured them very well – little dancer’s my fave. Wonderful photos, thanks for sharing. Peruvian festivals are my favourite part of living in the country! Peru has been on my “hot” list of countries to visit for a while! It now became even “hotter”, after seeing this beautiful spread of photos you’ve shared with us! The colors are fascinating, but beyond that, I love the way you set up and framed the shots! My favorite has to be the one of the young ladies with the large hats….very, very nice Simon! What a great job of capturing the culture and people! I love these photos! My sister-in-law is from Peru and so many people write about places like Lima and Machu Picchu. This shows a very different and personal side of the country. Without connecting with the culture, the sites don’t matter. These photographs are so inspiring, Simon. It gives me a sense of urgency to visit Peru soon!!! Great photos. I can’t wait till our Journey takes us down that way. Thank you so much. Peru is indeed an amazing country. I’m sure you would love it! So colorful, I really like them. I guess the differences alway melt away when we look at the bigger picture. We have more thigs in common than differences. First time I saw traditional Peruvian clothes.. fascinating. Thank you Juno. Indeed, colors are among the loveliest and most impressive things in Central/South America (at last to me). It’s amazing to see how such poor countries developed a fine taste and awesome handicrafts. Thank you! I take it like a great compliment because you do amazing photos (the ones you took in Borobudur are among my faves!). Hugs! the people, culture, tradition – really interests me. those who still carry on their tradition and here seeing them in their traditional costumes – always an eyeopener. thanks for sharing! Your new design looks great. Good luck Simon. .-= Britt-Arnhild´s last blog ..How to party……how to pizza party! =-. Hi Britt, thank you so much! You’re the first one to comment. That’s amazing! There’s still lots of work to be done, but it will come, day after day. I’m glad you like it. And if you have suggestions, they’re more than welcome! A big big hug!